Lafras Kruger and Buza Ngcelwane (centre) and the rest of the UD Trucks Southern African support team, with Kishi Nobuhiko, UD Trucks' senior vice president of brand and product, celebrate the fantastic achievements of our two local drivers in the UD Trucks Global Extra Mile Challenge. If there is one thing FleetWatch would like to see happen this year, it is that the status of our truck drivers gets elevated to a position where society gains a better appreciation of the role they play in our economy and society as a whole thereby elevating them to the position of respect and credibility they truly deserve writes Patrick O’Leary. Let’s face it. The image of truck drivers is not a respected one and this, I believe, is based to a large degree on total ignorance of this fraternity. It is also, I believe, based on a lack of recognition by society as a whole – including our political leaders – on the vital role the trucking industry plays in ensuring the wheels of our economy keep turning. The trucking industry is a Cinderella sector – necessary but an irritant on the roads and a poor cousin to the fancy car sector. The industry itself is also to blame with many operators treating their drivers as addendums to their operations rather than as holding the keys to the success of their operations. Proof of this is the response we get from many drivers when asked about the unroadworthiness of their vehicles. “Have you told the boss about these faults,” we ask. “Yes, but he says I must drive or be fired,” comes the answer. Can you believe that attitude still exists? Pathetic! There are, however, companies within the industry who pay huge attention to truck drivers. 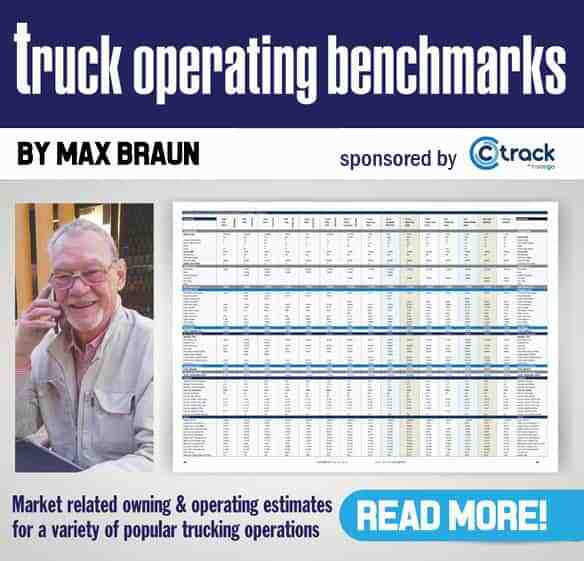 Pop into our web site www.fleetwatch.co.za and have a look at our eMag edition 54/55 to see what companies such as Regent Insurance, Crossroads, Onelogix and Barloworld are doing to elevate the status of truck drivers. It’s all really good stuff. 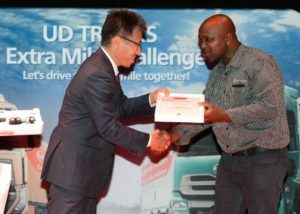 Another company which regards drivers as tops is UD Trucks Southern Africa which holds an annual Extra Mile Challenge for the drivers of its clients. I highlight this one here because it acts as an example to show the world-class quality of our truck drives – when this quality is given the opportunity to shine. 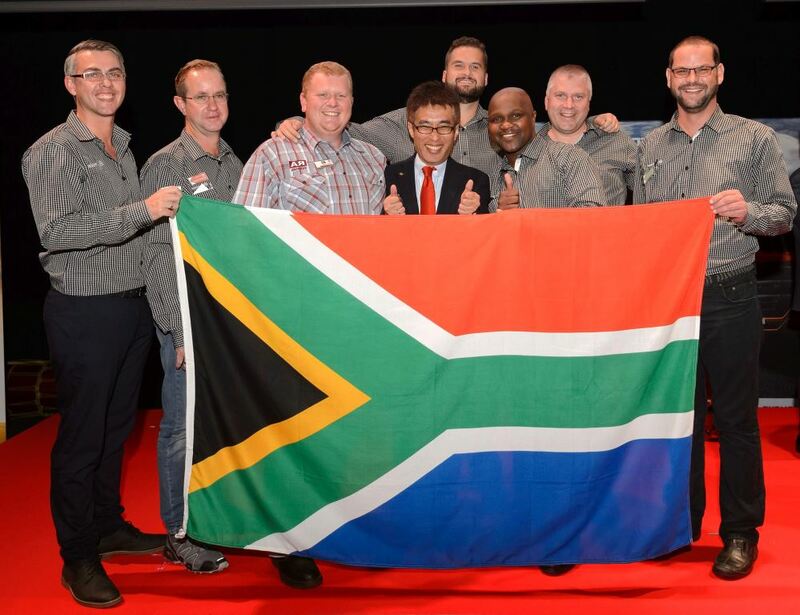 Following the finals of the local leg of the competition, the two winners, Lafras Kruger from RA Transport in the Eastern Cape (Quester category winner) and Buza Ngcelwane from Dairy Farmers of South Africa (Quon category winner) were flown to Japan to compete in the global Extra Mile competition. The two South African contenders were joined by their fleet managers at UD Trucks’ headquarters in Ageo where drivers from across the world competed in the two vehicle categories to ultimately be crowned the champions. And here’s the good news: Lafras Kruger took top honours in the UD Quester product category while Buza Ngcelwane received the award for ‘Best Fuel Efficiency’ in the Quon product category. Lafras Kruger receives his first prize award in the Quester category from Kishi Nobuhiko, UD Trucks’ senior vice president of brand and product. Well done World Champ! A delighted Kruger was overwhelmed by the fact that he actually won the title. “It took many hours of preparation and the competition truly was a tough battle. Thanks to the support from my company’s management and UD Trucks’ staff I made it to the top and all the sacrifices were so worth it,” he says. Ngcelwane achieved the best fuel efficiency through careful planning and his extensive knowledge of the operation, performance and handling of the Quon extra heavy truck. 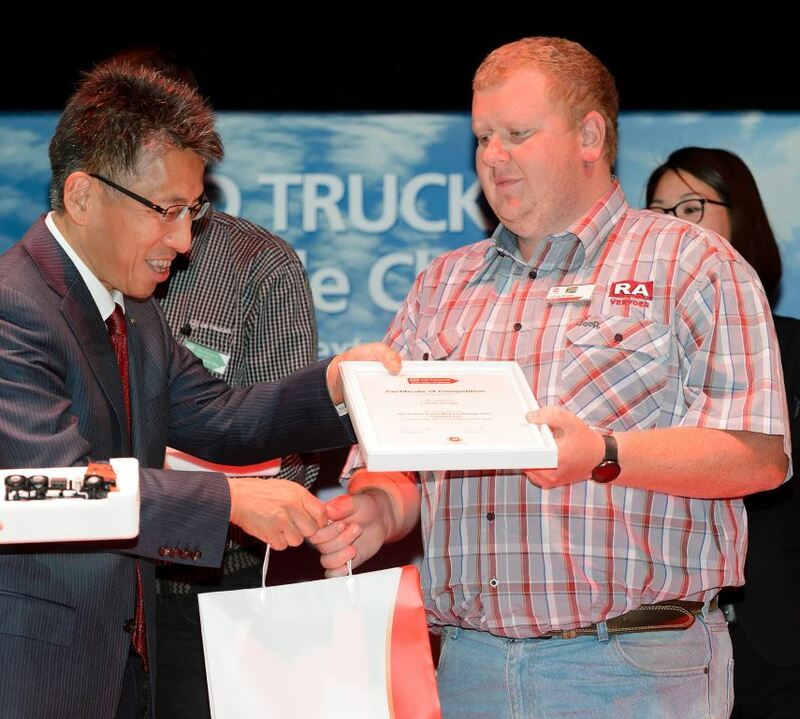 “It was such an honour to participate in the competition and to do so in Japan, the home of UD Trucks, was simply the cherry on top. We learned and experienced so much and the memories and knowledge gained will certainly last us a lifetime,” he enthuses. During the competition, drivers participated in either the UD Quester or UD Quon product categories and had to compete in a simulated transport delivery cycle. “The Extra Mile Challenge is not just simply a driving competition but it also provides a wonderful opportunity for drivers to test and hone their skills, refine their strengths and simply go the extra mile,” says Kishi Nobuhiko, UD Trucks’ senior vice president of brand and product. Buza Ngcelwane, receives his award for the Best Fuel Efficiency in the Quon product category from Kishi Nobuhiko, UD Trucks’ senior vice president of brand and product. Yeah Buza! When the skill of our local drivers is allowed to shine, it glitters and this is what we have to accent. 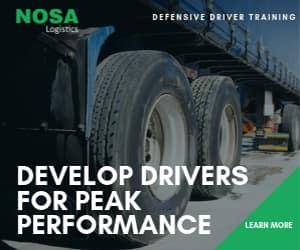 There are so many professional, world-class drivers in South Africa but because of the fact that their skills and status remains ‘unsung’, they never get the opportunity to shine. Let 2018 be the year that the light of South Africa’s truck drivers shines bright on society. And a big congrats to Lafras Kruger and Buza Ngcelwane on their magnificent achievement. You certainly did us all proud. Yeah!